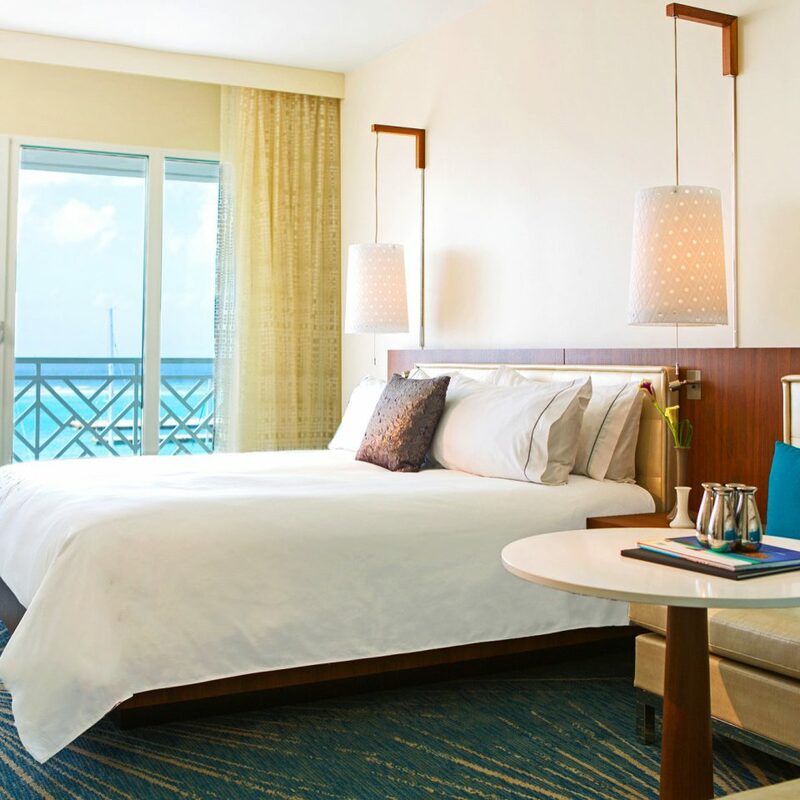 Take advantage of all that paradise has to offer without sacrificing any modern comforts at this downtown Oranjestad resort. 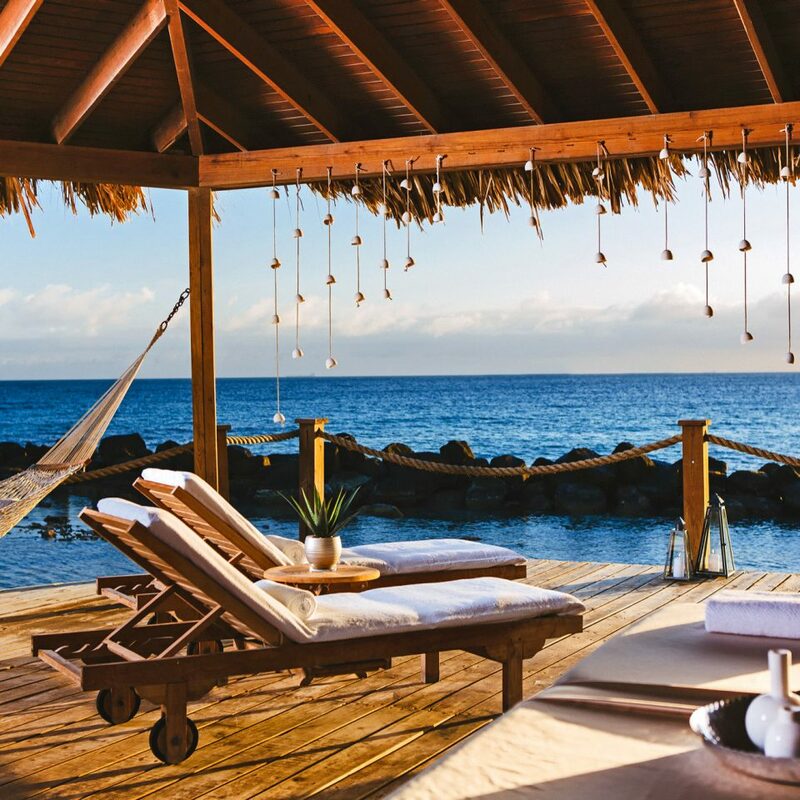 Two buildings comprise the property — the adults-only Renaissance Marina and the family-friendly Renaissance Ocean Suites — but, crucially, both grant access to the property’s 40-acre private atoll, the only one of its kind on Aruba. Set off to the islet via water taxi (they depart every 20 minutes) and spend the day sunning on family-friendly Iguana Beach, getting cozy in a beachside hammock or spying on the resident flamingo families that populate the atoll. 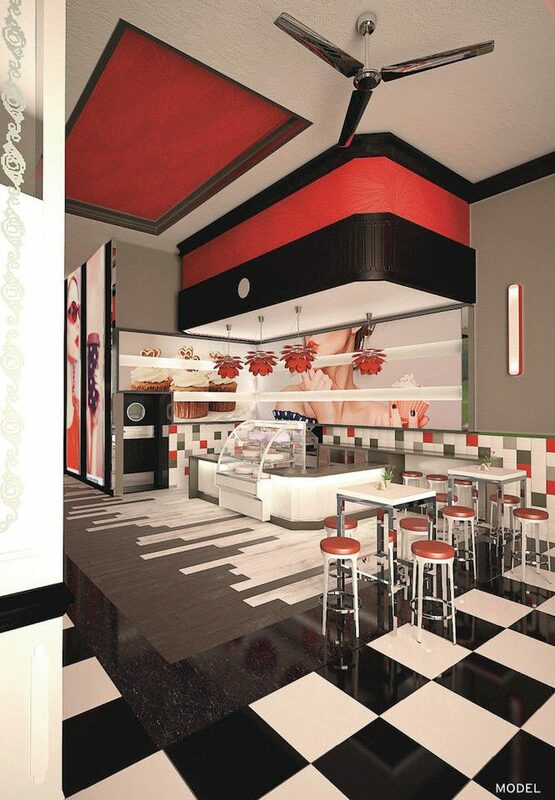 Treat yourself further at the on-site L.G. 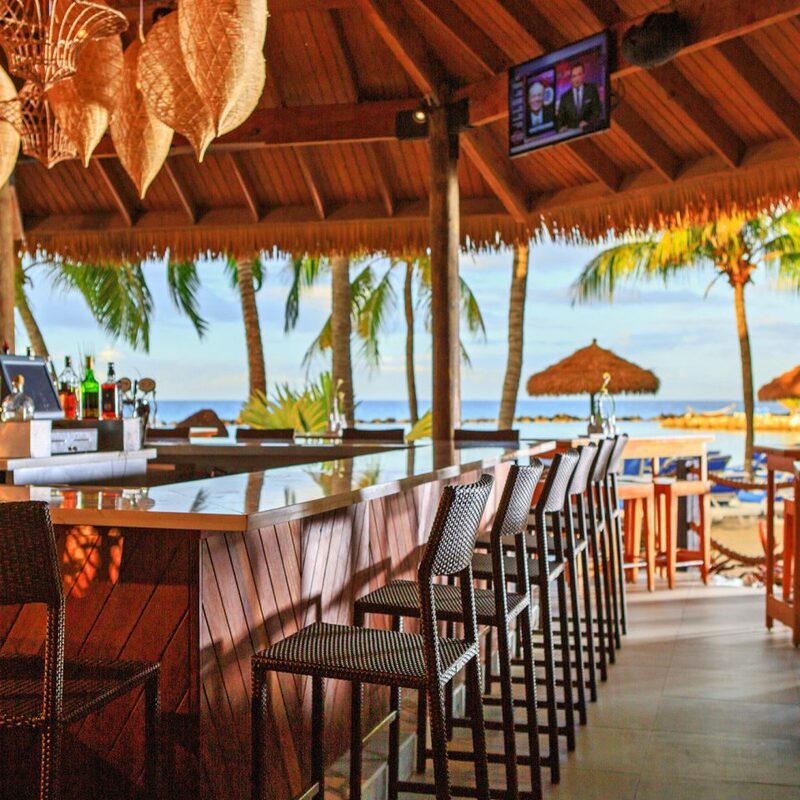 Smith’s Steak and Chop House, a Wine Spectator award-winning restaurant that overlooks Oranjestad’s downtown marina. The menu focuses on steak and all the trimmings — filets and ribeyes paired with mashed potatoes, creamed spinach and truffle cream corn — but diners with lighter tastes can fill up on lemon-roasted jumbo shrimp or a veggie Wellington. 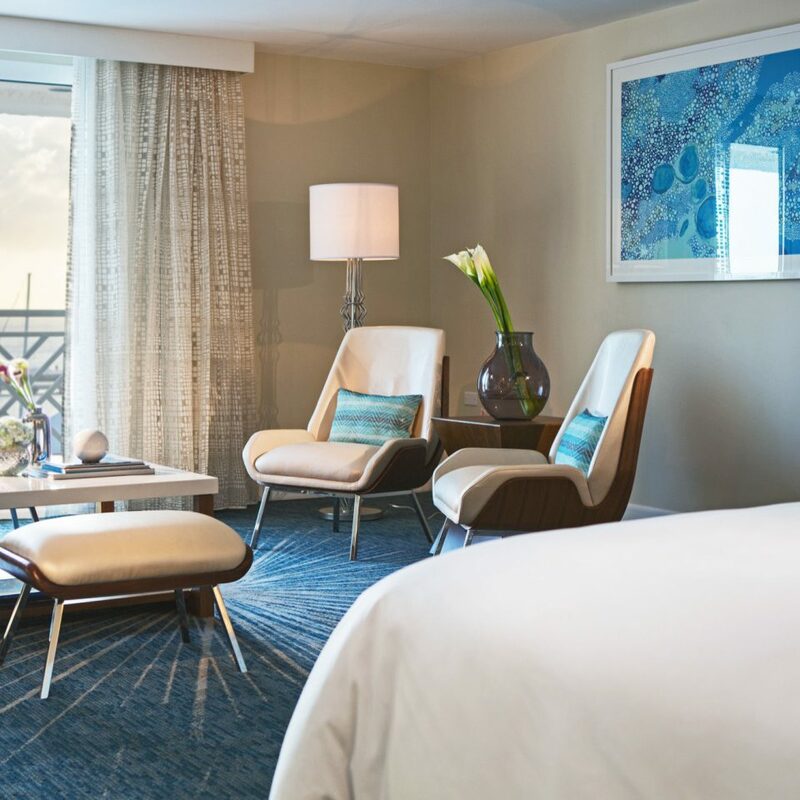 Indulge that food coma in one of the airy guestrooms, which have a city-meets-beach vibe: buttery taupe banquettes set off by bright turquoise pillows, sleek hardwood furnishings and French balconies with city or ocean views. The lush bathrooms maintain the relaxed feel with rainfall showers, white quartz countertops and backlit mirrors. 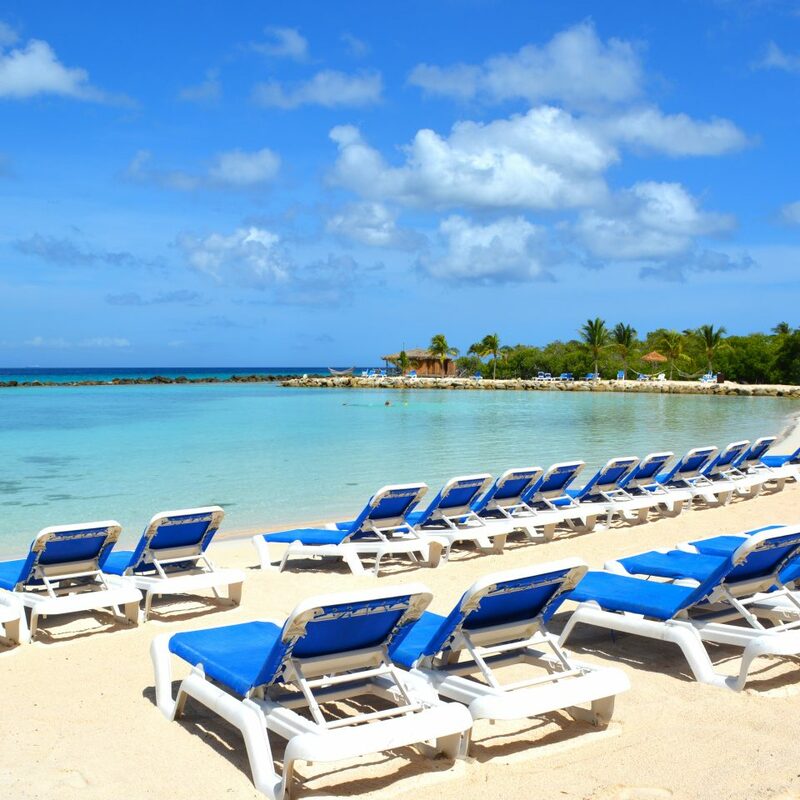 When you’re not ensconced in a hammock on the resort’s private island, set off to explore Oranjestad’s rich history. 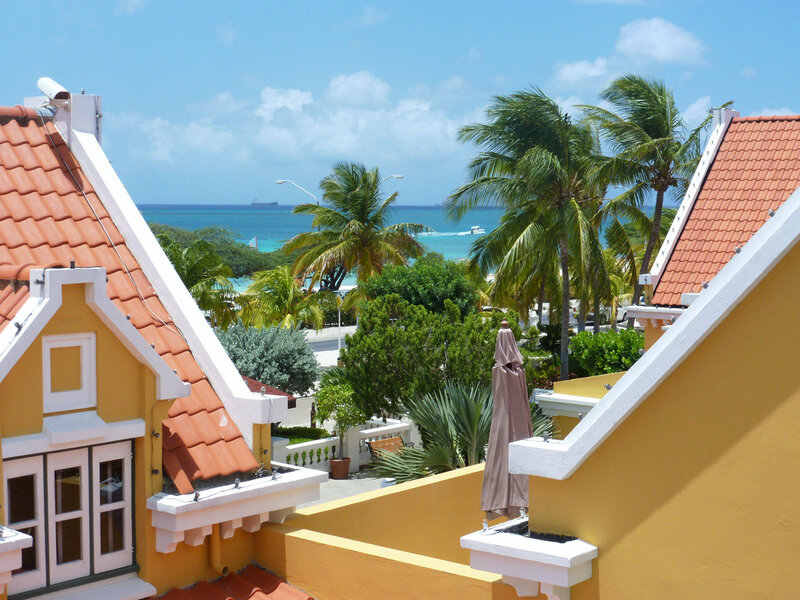 The port city is the island’s capital, and it boasts a number of buildings dating back to Aruba’s early years under Dutch rule. Fort Zoutman (Aruba’s oldest remaining structure) was constructed in 1778 to thwart pirates; since then it has called itself a courtroom, a police station and a jail. Today it’s the historical museum — and the backdrop for the Tuesday afternoon Bonbini (“welcome”) festival, a showcase of the island’s traditional dance, music and cuisine. 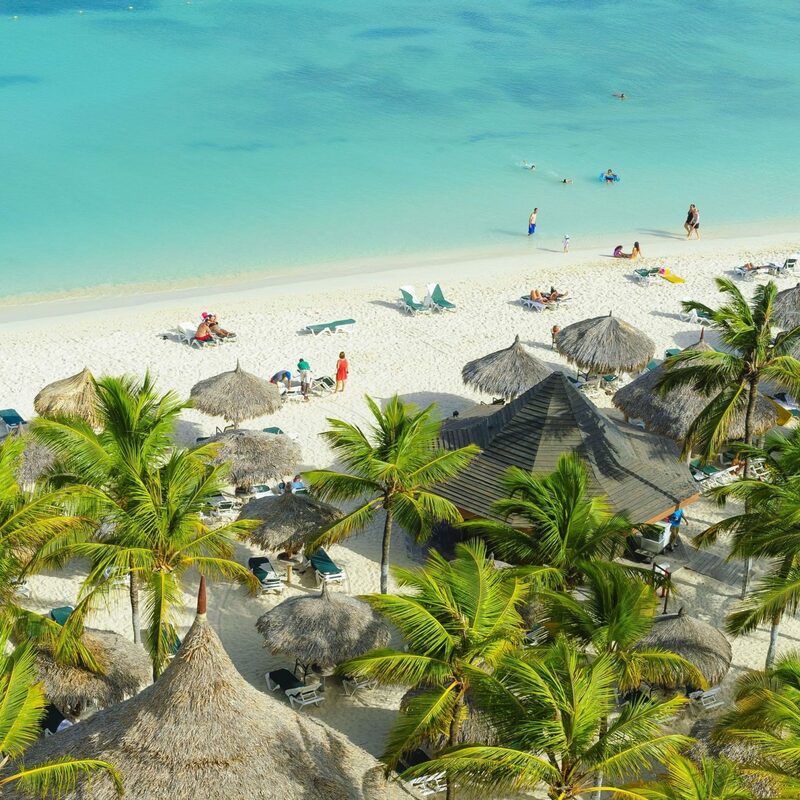 Before tourism, aloe drove Aruba’s economy, and visitors can still stock up on the soothing lotion at Aruba Aloe Store, a 125-year-old shop that sells locally made bath gels, sunscreens and calming after-sun lotions. For more carry-on-friendly souvenirs, hit Artistic Fine Jewelry, a 40-year-old boutique with a diverse collection of linens, crystal and accessories, including bracelets, rings and earrings featuring Aruba Pink gemstones. 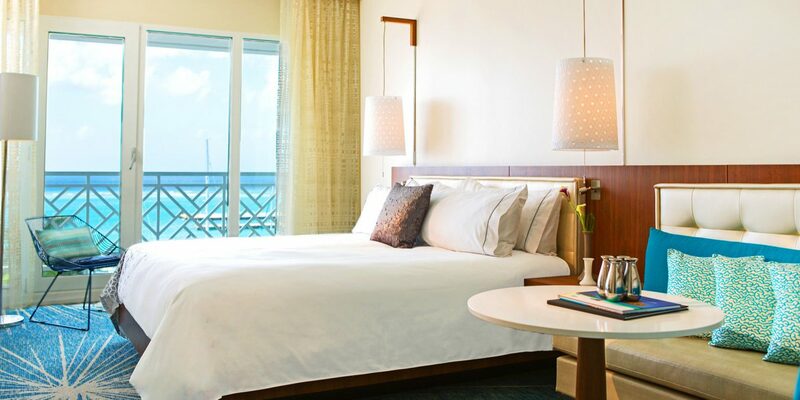 The Renaissance is a multi-part, marina resort in downtown Oranjestad, just 2 miles from the airport. 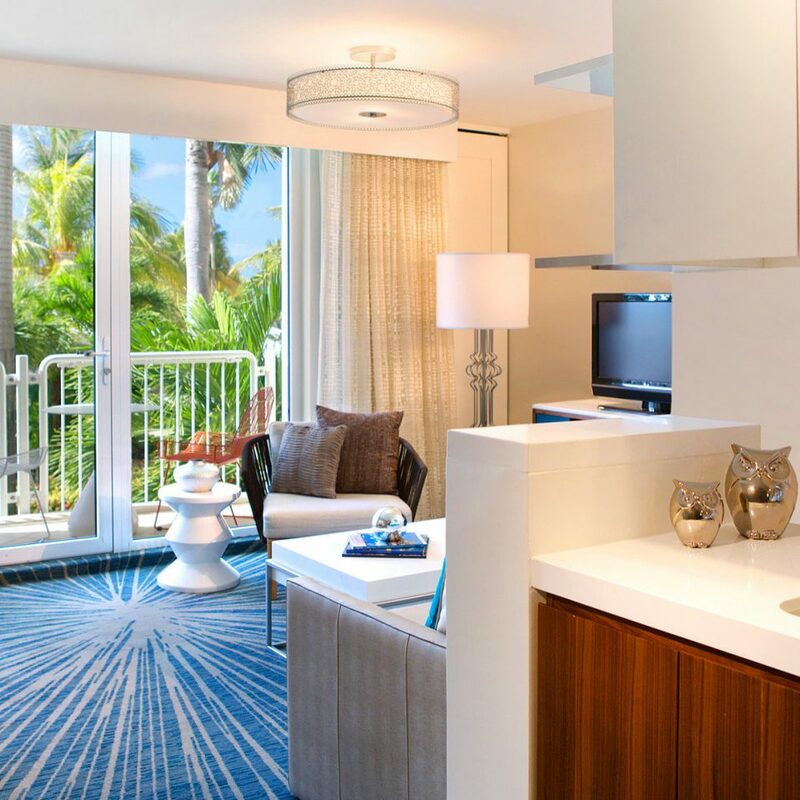 The property is spread across 3 key areas with the family-friendly Ocean Suites featuring one bedroom units, 2 pools, small beach, restaurants and a swim-up bar. 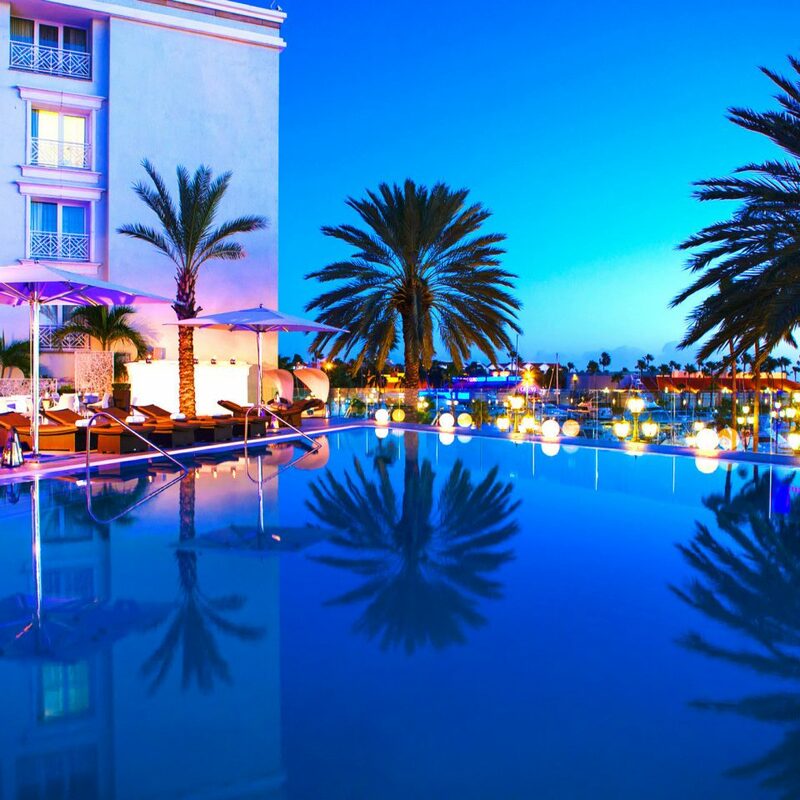 The adult-only Hotel/Casino has restaurants, lobby bar, Starbucks, high-end shops and a gorgeous infinity pool. 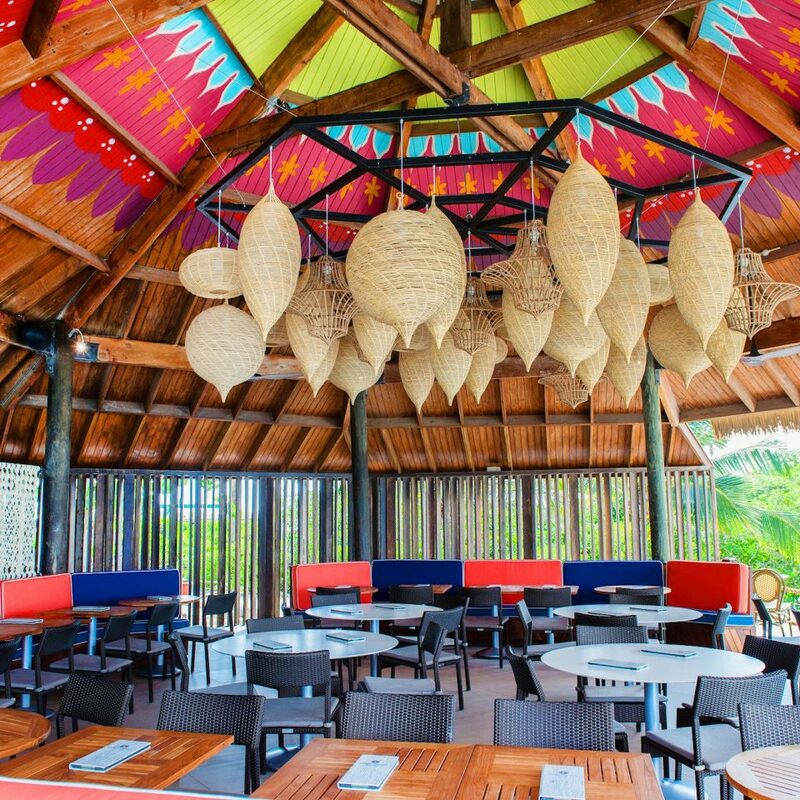 The exclusive island beach getaway is a quick boat ride away and has 2 beach areas, a restaurant and 2 bars. 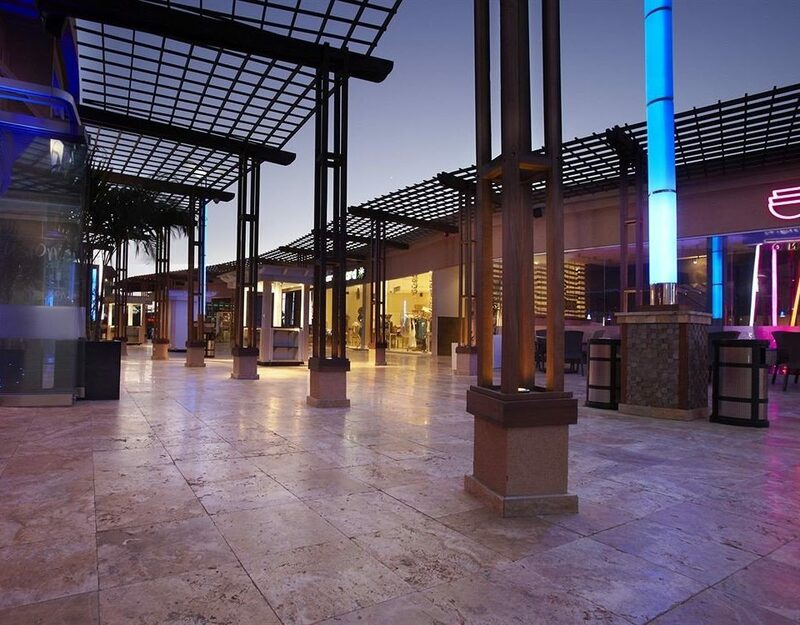 In between the two properties lies a marketplace featuring Starbucks, Dunkin Donuts, Dutch cafes, restaurants, bars and shops. 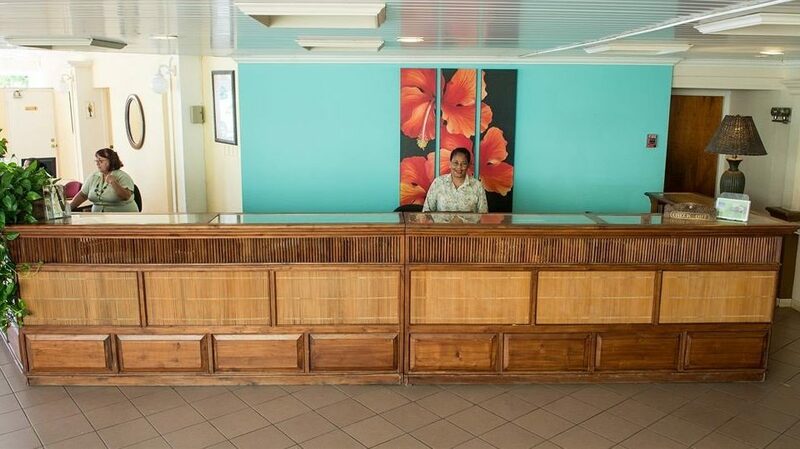 The resort property is beautifully maintained, the staff and service is superb but the rooms are showing some wear and tear. 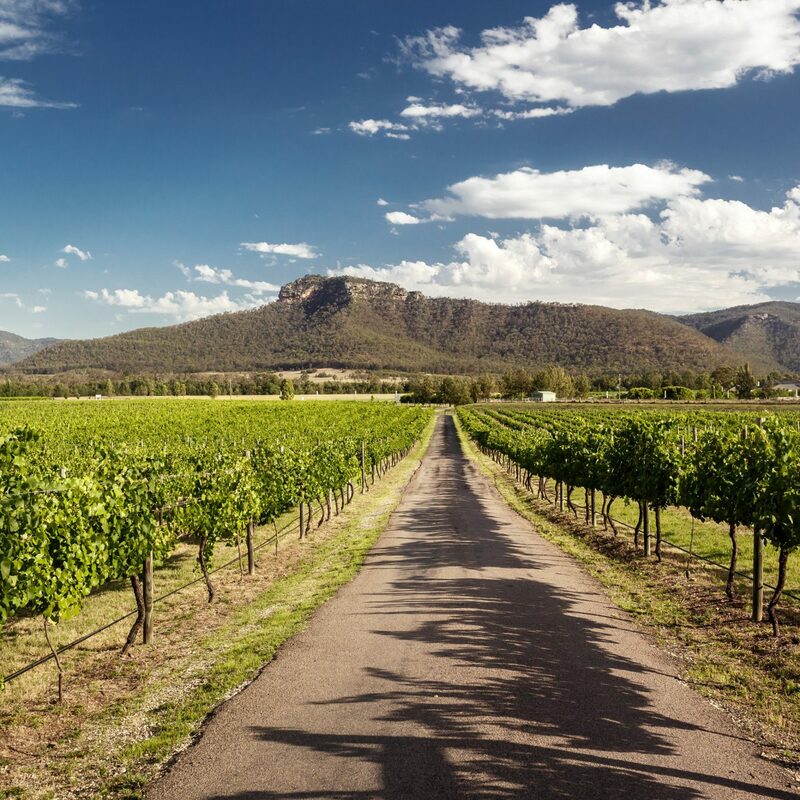 All in an all, a wonderful location in downtown, a short walk from the markets, shops and restaurants. 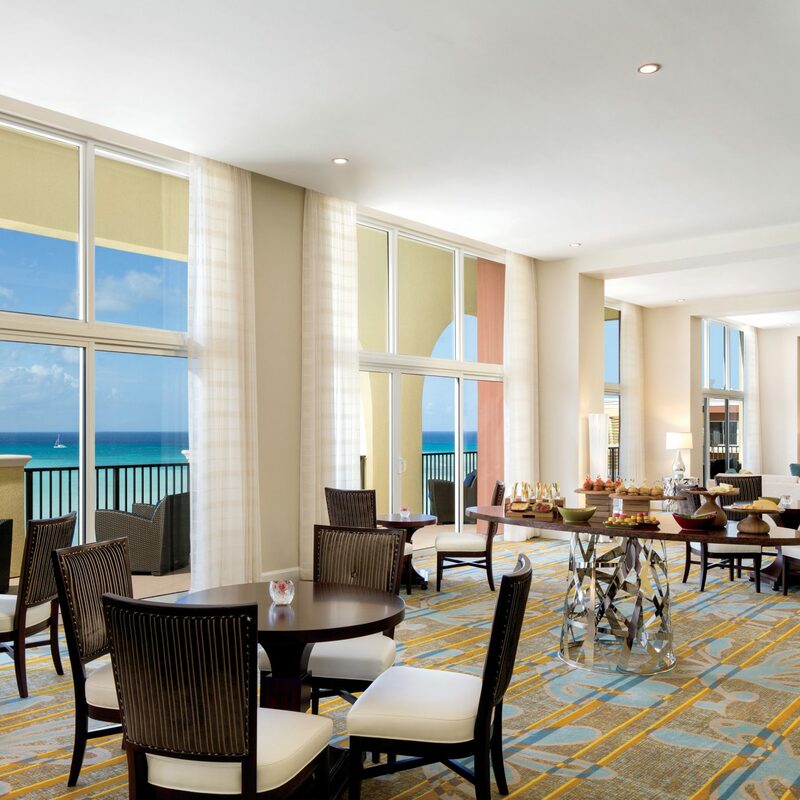 If you want to get to the high rise hotels and Palm Beach area, it’s a short $15 cab ride where you can find a lively shopping and dining area. The Marina part of the hotel is adults only. The boat to the private island enters inside the hotel, casino attached as well as all high end shopping. Top notch Cuban Cigar (Cigar emporium) one block away. Also the pool area is outstanding. We spent a week here by trading through Interval International. 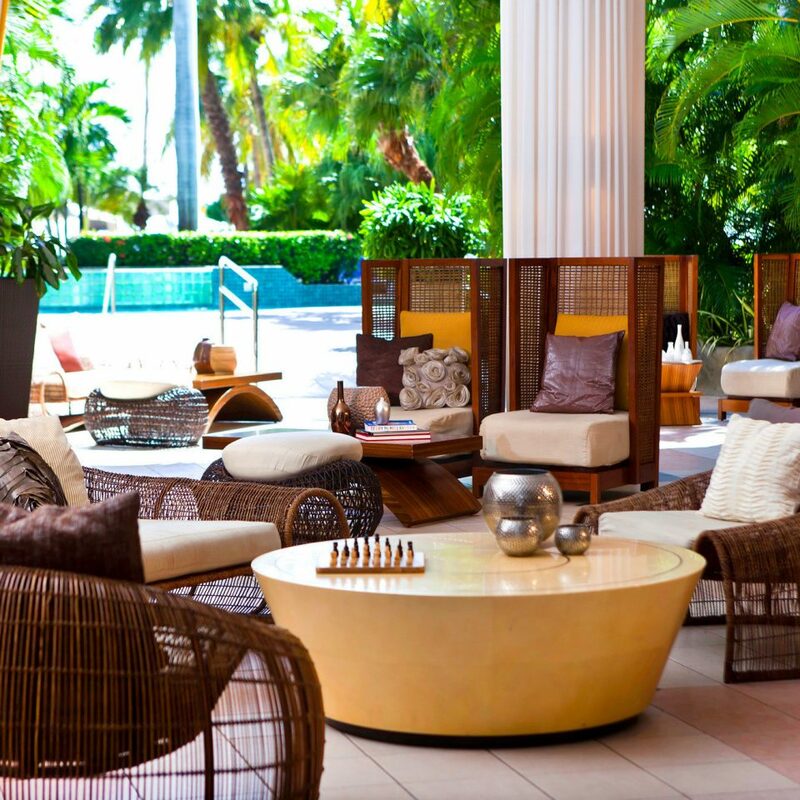 We usually stay in one of the Marriott properties on Palm Beach. This was a different Aruba trip. The resort is great. Rooms are clean and updated. The bedrooms are dark with no windows so if you like sleeping in they’re perfect. I prefer sunlight in the morning. The island transport and flamingo beach was a plus. The food was good on the island as well as the pool bar. Daily happy hour was so much fun. There a numerous great restaurants within walking distance. We felt safe walking through the streets. Downside has nothing to do with resort. After dinner there’s nothing going on. We went to Pam beach twice and it was so much more lively. 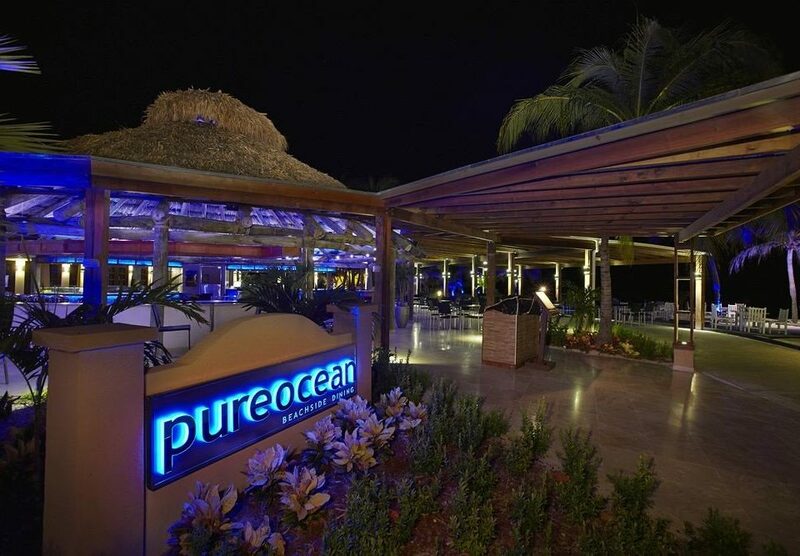 Aruba needs to bring night life back to this area. Maybe a commuter van between the resort and palm beach would be a suggestion. Dirty, expensive, and unapologetic about it. We checked into our "Ocean view" room on the Ocean Suites side of the property and arrived to room 2217 to find the floors were dirty, the bathroom counters had food crumbs and sticky rings from something, the carpets were stained, and the room just stunk of mildew. In addition to that, there was no view of anything besides the massive Palms that were growing right outside of our balcony. I wouldn't have minded the lack of view - except I paid for something I didn't receive. Right away we noticed that the remote for the tv was broken, the toilet was backed up, and our bed linens were dirty. We called housekeeping and while they responded quickly to our broken tv remote, they told us just to use the other remote from the bedroom tv. This would have been fine except that we had my father sleeping on the pull out sofa so we needed both remotes. The pull out sofa came with one blanket, a set of sheets, and no pillow. Maintenance did respond quickly to the clogged toilet, but they didn't clean up after themselves. The following day, I noticed a yellow wet substance dripping on the floor in the bathroom next to the toilet. I looked up to find the ceiling tiles to be sagging and yellow. One of them had a hole in the corner so I quickly investigated because I was worried maybe there was a hidden camera or something. While there was no camera, there was A LOT of mold on the inside of the ceiling tiles. I called maintenance and while they were quick to respond, they chose to only replace the wet moldy tile above the toilet where the leak from above was. They left the remaining gross ceiling tiles in place. After that, I noticed mold everywhere in the bathroom. What I did give 2 stars for: Rudman and Jack at the Sole Bar are attentive, kind, and excellent at what they do. Captain Richard from the private island boat ride was so incredibly kind and patient with my crazy 3 yr old - he even brought him a gift the following day! Woody from the private cabanas was thoughtful, funny, prompt, and he made our Anniversary trip feel really special. The entire week that we were at this hotel our room was cleaned twice. We always made our room available to housekeeping because I was grossed out by the bathroom, but they never seemed to get around to cleaning. They did leave new towels and toilet paper everyday so maybe they're just overworked and run out of time to do much else. The food at this property is just okay, and like most resorts it is overpriced for what it is. My husband and I are silver Elite members and we stay at several Marriott properties throughout the year. The Renaissance just does not live up to Marriott standards. It's unfortunate because the location is great and the private island is a big draw. 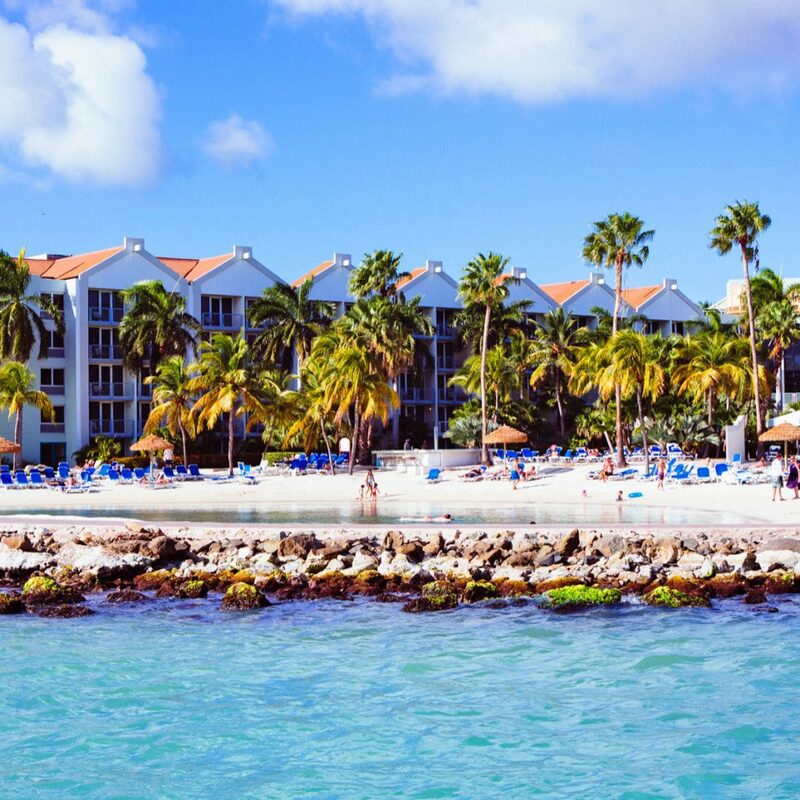 My family spent over $5000 at this resort during our 7 night stay, and while we will be returning to Aruba we will absolutely not be staying at Renaissance Ocean Suites. I hope Rudman, Jack, Woody, and Captain Richard are well compensated by this resort because if I were management I would be afraid of losing them to a competitor. Oh, if you're an Elite member, make sure all of your room keys are the correct color in order to receive your discount on food and beverages. The front desk didn't tell my family this, and gave us a black room key - which does not receive the elite discount. We charged quite a bit to our room and didn't know that we needed to use only our grey keys to get our 10% discount.